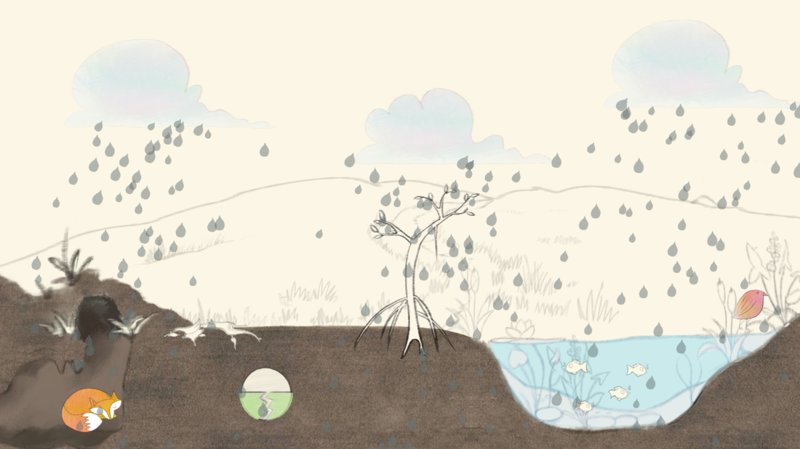 Nature's Sketchbook is a simulation game revolving round a bird, a fox and a man, their relationship with nature, and its consequences. 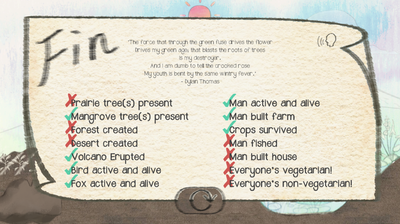 The player controls environment elements to alter the course of the story spanned across multiple scenes, with hundreds of ending combinations. 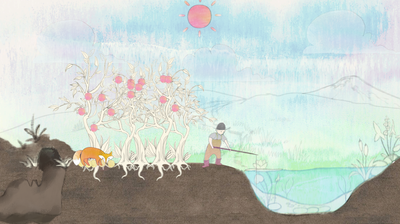 The game was made by 7 students as part of a visual storytelling project. One of the main challenges in terms of game design for the game was to handle story branching. We as a team decided to not control the branching - and hence not have fixed branching at specific points. Instead, each choice affects the world based on certain conditions, which in turn, depend on other choices. This meant we did not have to know about each ending to create them, but at the same time we also created certain golden paths for the player (the most ideal/least ideal endings). I was the sole programmer for the game, and the main challenge here was to create such a modular system where the conditions described above could be put in easily, for testing. The game was made with GameMaker:Studio, in GML.